Sheff Utd win 5-4 on penalties. West Brom win 7-6 on penalties. Two stunning goals from Lee Tomlin ensured Middlesbrough avoided a potential banana skin as they comfortably saw off League One side Preston 3-1 at the Riverside Stadium. Young Boro striker Bradley Fewster also scored as they eventually put North End to the sword after they had levelled through Jordan Hugill. After a first-half devoid of attacking intent from either side, the game burst into life after 51 minutes when Tomlin curled home a brilliant free-kick for Boro from just outside the box after he was upended by John Welsh. 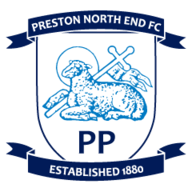 But Preston responded within two minutes - from Will Hayhurst's cross, Jack King flicked the ball on and boyhood Middlesbrough fan Hugill headed in unmarked at the far post. 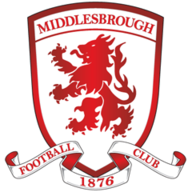 In a remarkable six-minute period, which was in stark contrast to the whole of the first half, Boro then regained the initiative when Albert Adomah's cross was flicked in at the near post by Fewster for his first-ever goal at professional level. Clarke almost nodded Preston level again from another Hayhurst delivery, but could not keep his header down from six yards and Boro took advantage to stretch their lead after a brilliant, mazy run from Tomlin ended with a low shot into the corner of the net from 18 yards. Fewster teed up his second after latching on to a glorious pass from sub Emmanuel Ledesma, but King blocked his effort.